You have a shed in your backyard, and you don’t have any urge to clean it out because you figure it will be full of stuff again in no time anyway. But what if you transformed it into something different and unique. Would that entice you to clean it out? Of course, a Man Cave is on the list which is an excellent option for the man of the house. You can add electricity to the shed, a TV, gaming system, and a mini-fridge. Then maybe a lounge chair or loveseat, a rug and even a small beverage station for those football games. You could put in a roundtable with comfy chairs too for when you have the guys over. 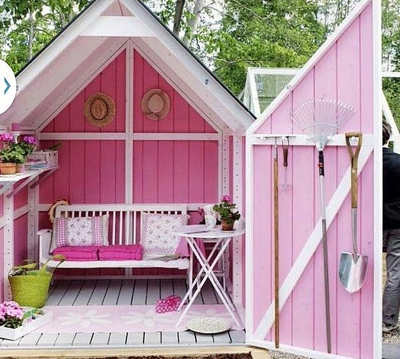 Redo the shed into a She Shed. Decorating a She Shed is all about having a cozy and relaxing space. It can be used as a retreat to unwind after a hectic week, or to drink a glass of wine in the evening. Surround it with flowers, ornamental grasses, and even window boxes. Add curtains and string outdoor lights around it. 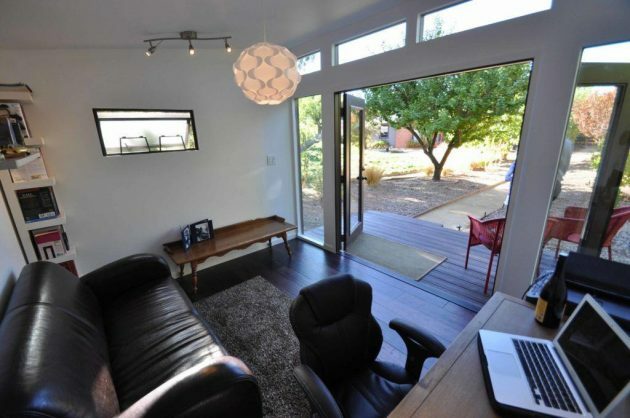 Then inside, you can place a comfy couch or daybed. Lay down a carpet, put in a bookcase, an overstuffed chair, and a lamp. Do whatever you like, there aren’t any rules. Turning your shed into a play shed for the kids can be the perfect idea, especially if you have a fenced in yard. You can also install an outdoor rug on the floor and some cupboards for toys and books. You can bring in a child’s table and chairs for a place to put together puzzles on or to paint or draw. Paint the walls with chalk paint, that would allow the kids to draw on a big scale without doing damage to the walls. It’s a great place for the kids–especially on rainy days. You love to craft, but it’s cramped in your home with everyone else’s stuff and you’d love a craft area of your own. The solution to this problem could be turning your shed into a crafting shed. Add shelves and a counter for cutting the material or blocking out quilts. You can either lay tile on the floor for easy sweep ups or lay down a carpet, whatever suits your needs. Place a table for card making or drawing, and add a comfy chair for breaks. If you install electricity, then it would be suitable for all seasons by you having access to heat and air conditioning. Add a small fridge for snacks, a tea or coffee pot, and you have your retreat. You work from home, and the distractions are, well, distracting. What about converting your shed into an office? You don’t need plumbing because you can always go back to the house when you need to. Also, if you hook up electricity, you can have both heat and an air conditioner installed so that you can use it year round. It gives you a change of scenery, plus the privacy to get your work completed. 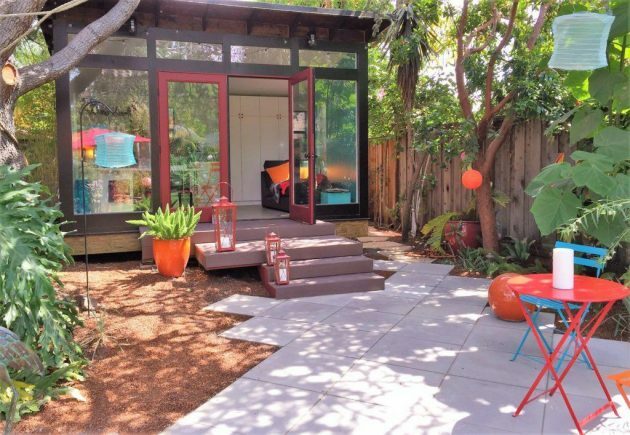 If you have a lot of guests come to visit you but don’t have the room, convert the shed into a guest house. This will take additional money and work, but the end result would be worth it. It will need its own plumbing for a bathroom and maybe a tiny kitchenette. Adding heat and air conditioning would make it useful all year round. Add a pullout couch and a TV. Depending on how big the shed is, you could design a loft for the bed area also accessed by a pull-down ladder. Your guests would be comfortable, and everyone would have their privacy and space. There are many different options when redoing a shed; it’s just a matter of which choice is for you. 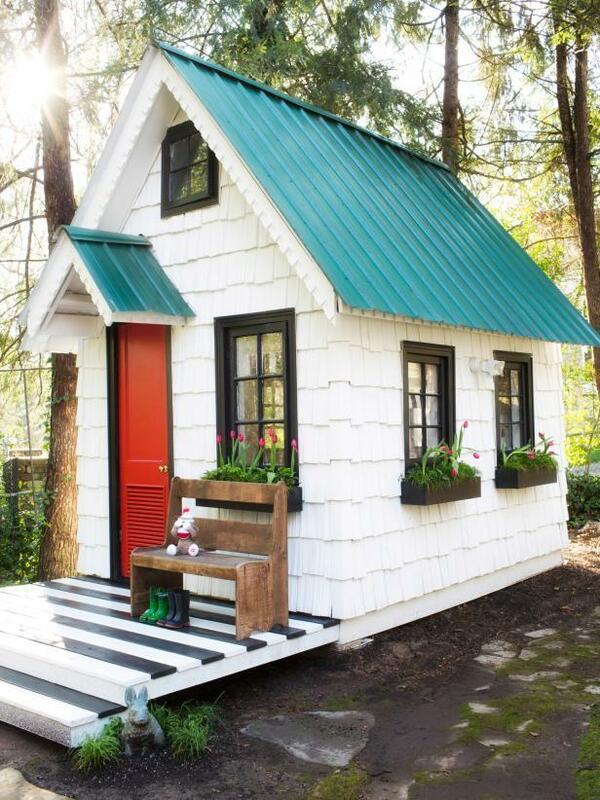 Do you have a shed just sitting in your yard waiting to be converted?